A few months ago a friend of mine told me, “you’ve got to listen to this band, you’ll really like them, I know”, he gave me a copy of Blueboy’s Unisex. He was right: it completely blew and shattered my mind, jaw drop included. I felt specially attracted to the voice of that man, who I later came to know his name is Keith Girdler, an English and well respected man among the Indie World (Respect!). It really broke my heart when I found that Keith Girdler passed away almost five years ago due to cancer, in a hospice. The owner of an unique and rich voice color passed away, kept away from music in the last season of his life and now he’s barely known in the world of music and of the Internet (sometimes it can be really frustrating to try and find almost nothing about the one who really caught your ear). There’s certain touch of innocence, a way to see through this man’s soul behind a curtain of baroque, new wave, ambient, electronic, rock, experimental, bossa nova, and classic sounds: a dedicated, painfully genius, nostalgic (almost in the way of saudade), troubled man (all at the same time) full of life when making music, always caught in the space between a dream and raw reality; that is the place where I magically decide to stay whenever his voice touches my poor and exploited ears. It’s somewhat sad that there’s not enough information about this band, except that he and his bands are considered by some as a major influence (bands like Lovejoy, where his friend, Richard Preece, used to play), and that he was also a major artist signed to Sarah Records, an indie label active until the mid 90s (The Field Mice, Another Sunny Day, The Orchids), and later to Shinkasen Records (Harvey Williams), with a repeated sentence in every article: that he was an incredibly gifted musician. Under such pitiful circumstances that involve lack of information, there’s always the marvellous opportunity of making the whole story up. I decided then to close my eyes and push play to that wonderful piece of magic called ‘Unisex’, by Blueboy. Oh my…! There’s always a Ying-Yang factor in every song, which is amazingly endowed with the capacity of touching your soul in any sense. I’d guess Mr. Girdler would play the piano for their songs, the one instrument that has the main role most of the times. It’s just going back to the 1980s, backwards again to baroque times, then back to the future, all in the space of one black note. Ok, maybe I got lost, but the main reason I describe the sensation Blueboy’s music brings to me is because it really made me turn my eyes (and Internet resources) to Mr. Keith Girdler; it’s funny how music can lead you to some conclusions without even knowing things as a fact. The reason is the aura this front man could bring to his bands (Arabesque, Beaumont, Lovejoy, The Snowdrops), the great chemistry he had with his best friend and band mate (Paul Stewart, Lovejoy), the out-of-this-world capacity to invent worlds in every song (…); having a combo like that really makes me scratch my head and wonder why we didn’t have more of this or why commercial success didn’t even come to them, they’re even known as one of the “best kept secrets of the indie world”. Sometimes I just can’t get it. A CD was released in his honor called Country Music. Songs for Keith Girdler. A friend of his friends decided to contact the bands Keith Girdler loved for the last 20 years to record music for him or just to donate one unreleased track. The money raised was to be donated to Martletts Hospice, in Hove, where Keith Girdler spent his last months down here on Earth (source), and fortunately this CD really made its way and was released in 2008. This is a small homage to a brilliant mind and voice, a sound who would tell the story of a lifetime in 1 minute, who would lead you to a monstrous rollercoaster, bring you up and down all carefree. These lines go to a man’s mind and talent known by few. And after all of this tragedy and sad endings there’s always love, and it’s through memories, music, feelings, thoughts, ideologies that one life can ‘survive’ death. You’re not alone, Keith Girlder, we still think of you. Thanks to my friend Emilio and dear Sam for their tireless mission to open up our senses to new sounds. Listen to Blueboy @ Spotify. Posted in rantTagged Blueboy, Keith GirdlerBookmark the permalink. Nice words. Keith was a charming, funny, complex character. Very affable, yet hard to read – and truly know. As an original member of Blueboy [the bass player] I had the privilege to witness Paul and Keith’s unique musical chemistry. Paul was, is, a wonderful and much underated guitarist. That’s the point I suppose, their talent is only enjoyed and revered by the few. I shared a house with Paul in Reading in the early nineties. He and Keith had dispanded their first band ‘Feverfew’ and were working on some new songs together – ‘Clearer’ being one. They sent a demo to Sarah and got snapped up. Gigs were mentioned and so they formed a band. I was in the right place at the right time. Lloyd [the drummer] was recruited – Paul new him well from Feverfew days. We practised at a The Cell in Cemetry Junction, Reading. Gemma joined later, but added lovely harmonies and haunting cello. 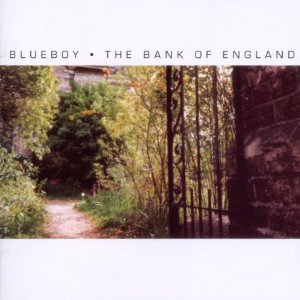 Marble Arch is still my favourite Blueboy track – and I’m not even on it. We toured the UK, France and Japan. It was a great time. I left the band in 1994 and was replaced by Gemma on bass. I also, to my regret, lost contact with Paul and Keith. I cried the day i heard about Keith and I also got back in touch with Paul who still lives in Reading. I went to see him and we reminised as you do. Anyway, glad you’ve discoverd Keith and Blueboy. All the best, Mark. Thank you for reading. 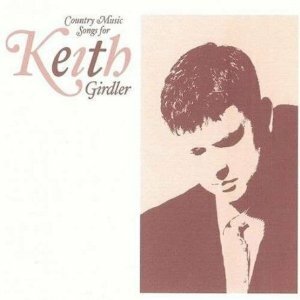 Keith Girdler made some beautiful music and his life story is heartbreaking. found the album today . Top stuff. Turn off the lights and enjoy that gem! Lovely piece. I adore Toulouse. Long may Keith’s memory live on. Thank you.